Avia Solutions Group, a WSE listed global provider of one-stop-shop aviation business solutions, has recently signed a partnership agreement with Air Livery Ltd., the leading European aircraft repainting, interior repair and refurbishment service provider. Under the agreement, Avia Solutions Group will operate as an exclusive sales representative of Air Livery in Russia, Ukraine, Georgia, the Baltic States as well as the entire CIS region. 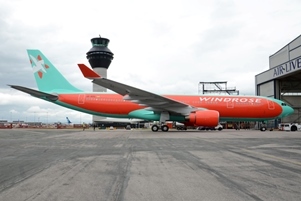 Based on the new partnership, Avia Solutions Group along with its subsidiaries will promote and sell comprehensive aircraft repainting solutions, including livery design and concept realization, engineering support, cabin interior repainting and mobile repair as well as AOG recovery and mobile graphic application support. The aforementioned repainting solutions will be available for the owners and operators of a wide range of aircraft types, including business & corporate jets as well as all commercial airline aircraft from regional turbo prop and jets up to B747-800. All services are to be delivered throughout the Air Livery’s extensive network of 18 Painting Facilities located across Europe. ‘As regional airlines are increasingly expanding their fleets, the demand for livery works is constantly growing. With this in mind, we are very delighted at the recently established partnership between Avia Solutions Group and Air Livery, as it will grant our customers from Eastern Europe and the CIS region with the increased access to even more cost and quality-effective aircraft repainting services,’ commented Linas Dovydenas, the General Manager of Avia Solutions Group. ‘Avia Solutions Group, FL Technics and other subsidiaries of the Group hold long-standing experience in serving the CIS market. That is why the partnership between Air Livery and Avia Solutions Group is strategically important to the further development of our aircraft repainting solutions. 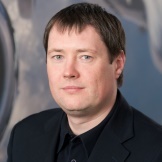 We anticipate that our EASA-certified painting and engineering services will allow carriers from Russia and other CIS countries to further optimize their expenses while maintaining bright and memorable exteriors of the fleet,’ said Julian Duffen, Managing Director of Air Livery. According to the agreement, Avia Solutions Group will promote and sell Air Livery products in Armenia, Azerbaijan, Belarus, Estonia, Georgia, Kazakhstan, Kyrgyzstan, Latvia, Lithuania, Moldova, Russia, Tajikistan, Turkmenistan, Ukraine and Uzbekistan.